Take it slow but keep moving. You get the best balance while moving like on a bicycle. Dont fight the wobbles and slow down when it happens. Try not to stiffen when it happens. Found it way easier to ride then expected. Dismounting is nerve racking since you need to jump off with both feet. It is always a successful way to dismount but that one time you step off with one foot you are doing a hard split. I found the most comfortable riding position to have my feet planted in the middle of the pads. At first I have been riding with stiff legs but now Im trying to bend my knees more. Im experiencing wobbles. One wobble topled my board but I was able to jump off in time. Im bending my knees but its still scary. Max speed is 10 km/h. Iv been more comfortable in my stance and moving more on the board. I feel less afraid and lose and as a result less wobble. I found jumping off the easiest and less stressful way to get off but as a result my board tips over and gets scatched. For a new board its quite beat up. 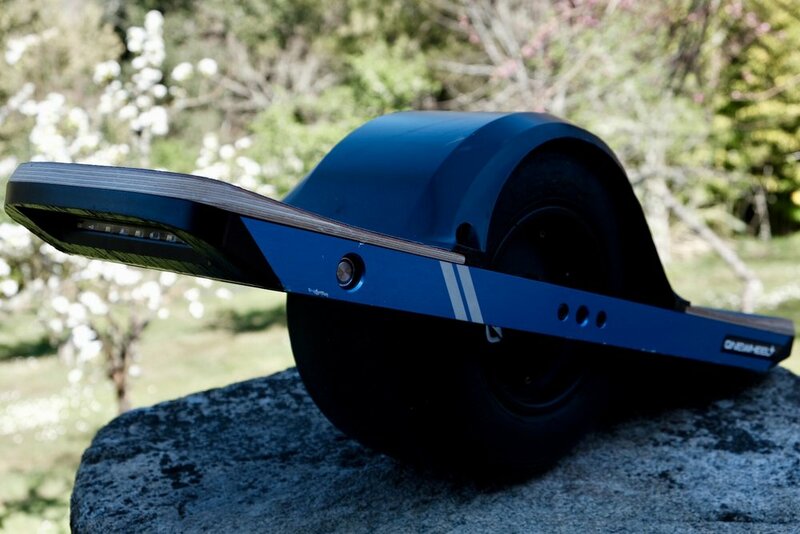 My legs are more lose and im not afraid when the onewheel tilts and my ankles tilt with it. I just let it happen. I found my lower body (hips, ankles, legs, knees) taking all the wobbles and bumbs making for a pleasing ride. Im carving a little harder but my speed still hasn't passed 15km/hr. I found if my toe is too far off the pad I have less control especially when trying to turn heel side. Moved to cruise digital shaping mode. My legs are very lose and the board and I can ride a full charge with small breaks. Im still trying to carve harder. I finally understand the kickbacks. Trying to go up a hill that was too steep a final kickpack before the nose planted. Luckily I was motionless so I was not thrown off the board. Got another kickback because of an overcharge. If I didnt have the app I would have never guessed that. Letting my legs take even more vibrations is creating a smooth ride. I try to carve as much as possible, I found this to help reduce wobble and shakes even more. I let 6 other people try the board and with simply saying “look where you want to go” they were able to command the board to go exactly where they wanted. 2 of them asked me in excitement “how did it know I wanted to do that?”. All of them, even people who did not try the board, thought it looked hard, but It wasn't untill they got on the board that they realized they didn't have to balance on the board. Dont fight the wobbles. Its incredible how much faith I have in this device that only has one wheel. I get many kickbacks when going up hills. I just dont know the limit of the board and maybe I will never know because knowing the limit would involve the nose planting and me getting thrown off. I dont want to be thrown off at 20 km/h. Finally made it over 20km/h after hovering at 18km/h. The nose picked up after 20km/h. I dont know what that was about but im assuming it meant you are going too fast down this hill and that i should slow down. Flat shoes make a big difference. Much easier to turn the board with flat shoes and my feet feel more planted on the board. My feet are very lose and im carving hard. I think my stiff feet before was what was giving me all that leg fatigue. I can now ride down to %30 without stopping. The pint was annouced and I would love Future Motion to introduce the new way to get off the board. Im still jumping off.